SupportSupport UpdatesA360Les Mills is here! Come and experience the world famous Les Mills workouts and enjoy the benefits of fitness tracking along with the new Les Mills sport profiles! As a Polar user you are now able to track Les Mills workouts with compatible Polar fitness trackers through Les Mills sport profiles. Firstly, update your Polar Flow app to version 3.2.3. 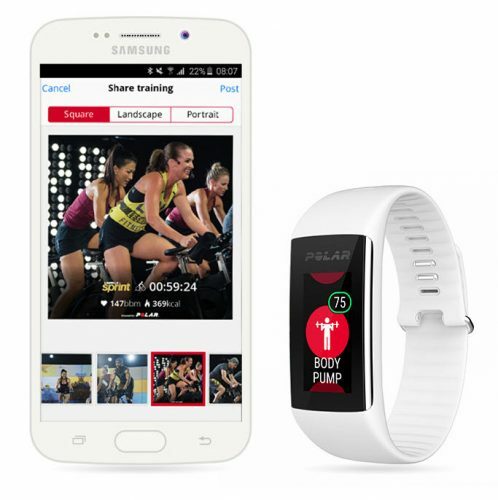 Add the Les Mills sport profiles through the Android app or from the Flow web service settings, sync your device and hit the class to record your favorite Les Mills workout. For those of you using an iOS device, we ensure you that the Les Mills specific workout profiles are on their way and coming really soon. But there’s more! After your class, you can share your workout summary from the Polar Flow app with your own image together with a Les Mills stamp. Polar GlobalSupportLes Mills is here!